Antipa Minerals is set to pursue broader gold-copper potential analogous to Rio Tinto’s Winu discovery in the Paterson province of Western Australia. The company will raise $5.1 million by issuing around 268.8 million shares, having received strong support from both new and existing investors, according to Antipa. 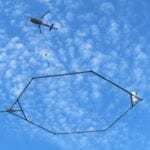 The company will accelerate its 2019 exploration programs on its tenements, where high-priority aerial electromagnetic (AEM) and aeromagnetic greenfield gold-copper targets have been identified within the El Paso Corridor. 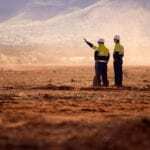 These targets include several that are parallel to Newcrest Mining’s Telfer gold-copper deposit and Greatland Gold’s Havieron gold-copper finding, in addition to Rio Tinto’s Winu discovery. “We are delighted with the outcome of the placement that generated exceptional demand from existing shareholders and a number of new, high quality institutional investors,” Antipa chairman Stephen Power said. 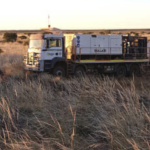 “Antipa is now well capitalised to undertake an aggressive dual track exploration program comprising drill testing of high priority greenfield AEM and aeromagnetic targets across the El Paso Corridor and brownfields target in proximity to the existing Minyari-WACA deposits. 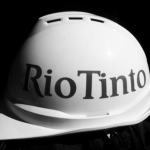 Rio Tinto subsidiary Rio Tinto Exploration established a farm-in and joint venture agreement with Antipa over the Citadel project in October 2015, allowing Rio to earn up to 75 per cent of Citadel in return for $60 million of spending over a several-year period.